A personal favourite at New York Fashion Week, the new kid on the block Lie SangBong is taking MBFW by storm with his innovative collections. 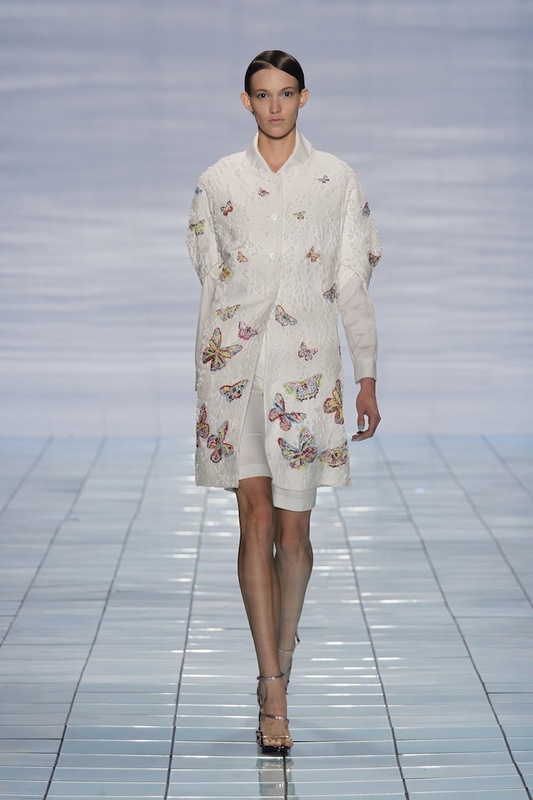 Only debuting at the Lincoln tents just last season he has grown in strength, his Spring 2015 runway was breathtaking. Full of rich inspiration and talented construction, Lie's ethereal and light designs were sophisticated and unique. Floating down the runway with modern femininity and beautiful butterfly detailing, it was hard not to immediately fall in love with this collection and not feel incredibly proud of this fashion week newcomer. Titled "Dream Road" the collection was inspired by the hardships brought on by the maritime disaster in his native Korea, "I want to share the positivity that is brought by Spring and the promise of a new day". Vivienne Tam's Spring 2015 collection hailed from her Asian heritage and combined modern styling with intricate traditional inspiration. 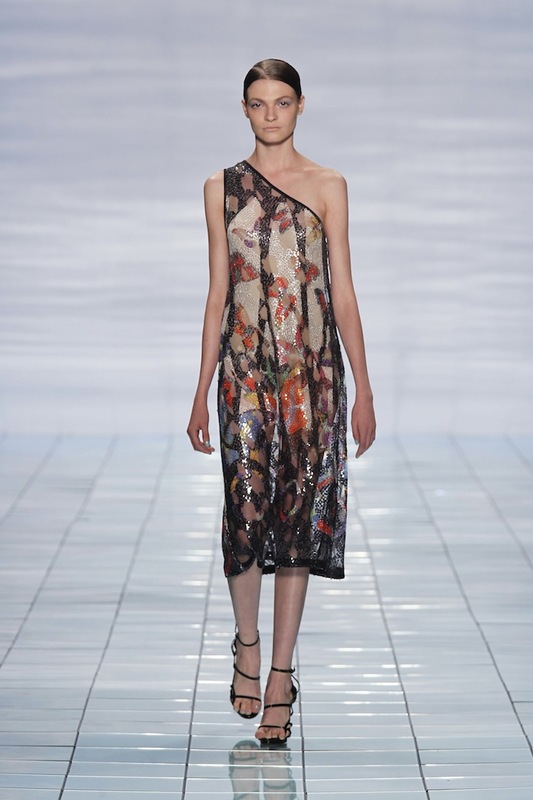 Watercolour patterns were mixed with modern mesh, laser-cut lacework made stunning visual prints, pictorial porcelains were offset by chic cut-outs and new boxy silhouettes juxtaposed feminine lines. It was a beautifully thought out and wonderfully signature collection that was one of my favourites from this well-established designer powerhouse. Inspiration from the artistic Ming and Qing dynasties that are housed in the Forbidden Palace saw its influence through the Tam's delicate designs. 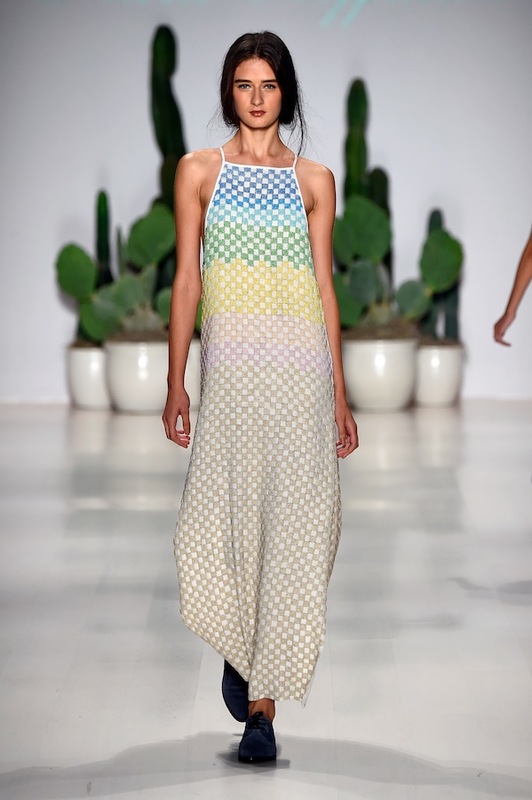 Mara Hoffman is known for her preppy-boho take on fashion, this Spring 2015 season was no exception. Taking on a road-trip into that desert sunrise, her inspiration was clear "The Sunrisers" celebrates the idea of being light in all ways. Staying true to style Hoffman incorporated flowing maxi dresses, strong stripes, crisp whites, powerful palms and sunny prints, traveling hats and sweet collar shirts. 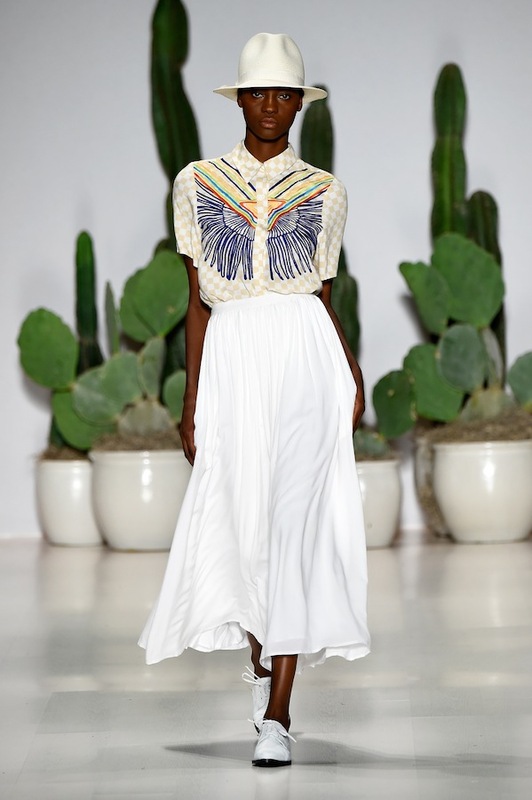 It was an extremely wearable and instantly buy-able runway that look amazing with a cactus backdrop setting the perfect scene.